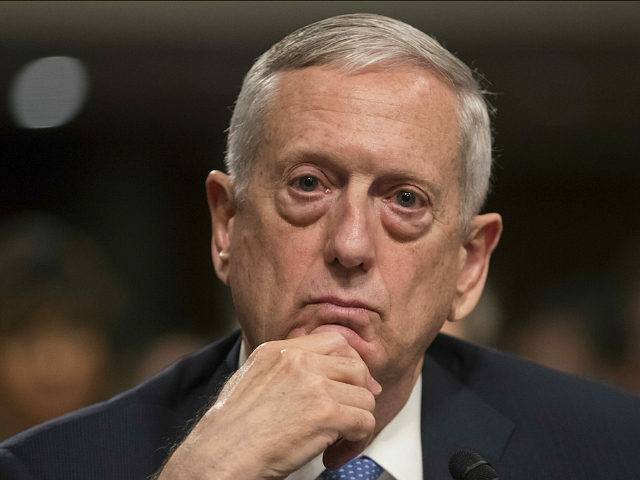 The International Institute for Strategic Studies (IISS), which has been heavily supportive of the Iran agreement, announced on its website that Mattis will lead a session of the IISS Manama Dialogue, which will take place in Bahrain from December 8–10, 2017. “He and other leading policymakers from the region and beyond will gather to examine the Middle East’s most pressing security questions,” the IISS website says of Mattis’ role in the conference. IISS has other ties to senior Trump administration officials. From September 2006 to February 2017, White House National Security Adviser H.R. McMaster was listed as a member of the IISS, where he served as consulting senior fellow. Besides taking in direct financing from Soros’s Open Society institute and the Ploughshares Fund, which itself is financed by Soros, Breitbart News recently reported that IISS is heavily bankrolled by multinational corporate firms doing billions of dollars in business with Iran. A significant portion of the Bahraini funding reportedly pays for the Manama Dialogue, where Mattis is slated to speak. The original agreement between IISS and Bahrain to finance the conference contained a clause calling for the memorandum of understanding to remain confidential, according to the document, which was leaked by a watchdog and published by the Guardian newspaper last year. The think tank has repeatedly hit back against charges that Tehran has violated the nuclear agreement while urging President Trump to recertify the deal, a move the president refused to make last week in the face of an October 15 recertification deadline. Two weeks ago, the IISS declared that Trump has “no substantive grounds” for declining to certify the U.S.-brokered international nuclear deal with Iran. Last month, Mark Fitzpatrick, executive director of the IISS Americas section, authored a piece on the IISS website arguing that the Iran nuclear deal is “working” and “policing Iran at gunpoint” – in other words, anytime, anywhere inspections of Iran’s nuclear sites – is a dangerous path. Breitbart News reported that one IISS donor is the controversial Ploughshares Fund, a Soros-funded nonprofit identified by the Obama White House as central to helping sell the Iran nuclear deal to the public and news media. Soros’s Open Society is also a direct donor to IISS. Joseph Cirincione, president of the Ploughshares Fund, is also listed as a member of IISS in his Georgetown University bio. Ploughshares has donated to the Institute for Policy Studies, which calls for massive cuts in the U.S. defense budget. As Breitbart News reported, the IISS added Soros’s Open Society Foundations and the Soros-financed Ploughshares group to the list of donors on its website in response to a request from this reporter on the matter. During a recent Breitbart News investigation, neither the Open Society or Ploughshares were listed on the IISS website page titled “Our Funding” despite this reporter finding literature from those two groups documenting their financing of IISS. Also, both groups were listed in an archived version of the same IISS donor’s page. IISS, meanwhile, is heavily bankrolled by multinational corporate firms doing billions of dollars in business in Iran. The business deals are up for regulation by the U.S. government and the transactions are in direct jeopardy if the Trump administration further sanctions Iran or declares Tehran in violation of the international nuclear accord. IISS quietly took in about $32.5 million in funding from Bahrain. The “donor” section of IISS’s website lists the “Kingdom of Bahrain” as a major host nation, but no monetery amount is publicly revealed. The Bahrain Economic Development Board is listed in the highest category of donations on the webpage – those who provided more than £500,000 (over $650,000). Last December, the Guardian obtained confidential documents from a watchdog showing IISS “secretly” received £25 million (about $32.5 million) from the Bahraini royal family during the previous five years. The UK newspaper reported that the Bahraini donations amounted to 25 percent of IISS’s income and included significant funding to the group’s Manama Dialogue events in the kingdom. The funding for the dialogue was reportedly meant to remain confidential. Confidential documents seen by the Guardian show that the country’s repressive rulers donated the sum to the London-based International Institute for Strategic Studies (IISS) over the last five years. The documents also reveal that IISS and the Bahraini royals agreed to “take all necessary steps” to keep most of the donations secret. The Bahrain donations make up more than a quarter of IISS’s income. Bahrain Watch, an independent organization seeking to promote democracy in Bahrain, provided the documents to the Guardian. According to the cited documents, which are fully viewable online, IISS agreed with Bahrain’s ruling family to keep the kingdom’s funding of the think tank’s Manama Dialogue strictly confidential. Those funds amounted to over $19 million since 2011, according to the documents. IISS has been holding the Manama Dialogue in Bahrain for over a decade. The next event slated to take place in Manama is being billed under a different name, the Bahrain Bay Forum. In 2013, IISS and Bahrain further signed a memorandum of understanding for $3.3 million per year to keep an office in Manama for a decade, the documents show. The Kingdom of Bahrain and the IISS jointly recognize the huge success of the establishment of a regional headquarters for the IISS in Bahrain as well as the mutual benefits that such a presence offers. “The IISS for a number of years has received funding from a wide range of governments for conferences and major international summits,” IISS added.